Lord Soley is a Labour Life peer sitting in the House of Lords since 29 June 2005. He is sitting on the EU Home Affairs Sub-Committee. He previously sat in the House Of Commons as MP for Ealing Acton and Shepherd's Bush, Hammersmith and Hammersmith North. 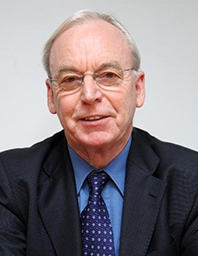 Lord Soley was Chair of the Parliamentary Labour Party from 1997 to 2001 and Campaign Director of Future Heathrow from 2005 to 2010, an organisation dedicated to the expansion of Heathrow. From 2004 to 2016 he was chair of the trustees of Mary Seacole Memorial Statue Appeal, now renamed the Mary Seacole Trust.